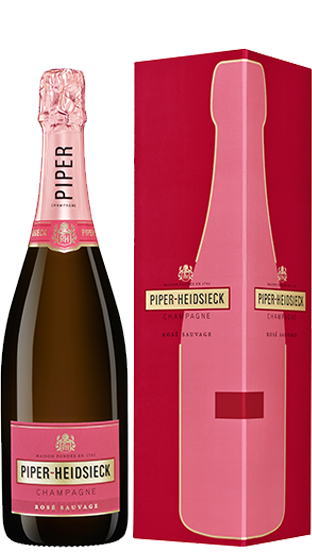 Tasting Note: P-H Rosé Sauvage translates the vision of the legendary Regis Camus, Piper-Heidsieck's Chief Winemaker. It is a truly unique and gastronomic champagne, with the highest content of red wine in the blend compared to any other. With more intensity of colour than the standard pale rosé champagnes, P-H Rosé Sauvage symbolises the perfect balance between strength and elegance. The result is a deeply intense performance that engrosses you from the first sip.